The Benefits of Android media players are endless! They are able to bring alot of entertainment to the living room. The added comfort of being able to stream your PC video library to your TV, browse the internet, play casual games or even purchase things; the ability of choosing your own TV shows with just a few key presses, coupled with the low power consumption these devices have, make Android media players a good choice and very necessary in every household. 2016 is a great year for digital multimedia, especially as internet companys (ISP’s) adopt fiber optic network in the Caribbean Region. Capable of reaching speeds of 300+ MBps. (You may remember the Dreambox of the past. Now a newer technology named Kodi has taken over! Top that with android apps such as Showbox, CartoonHD, and Cimena Box. There will be no more need to subscribe to those expensive television packages from Multi-Choice, DirectTv, Flow/Lime, Digicel and others! While there are several Android media boxes and preferences may differ. Amazon followed up its original Fire TV with a cheaper, more discreet alternative. The Fire TV Stick isn’t as powerful as the main set-top-box, featuring a dual-core processor and 1GB of RAM, but it does technically out perform other HDMI dongles on the market, such as the Roku Streaming Stick. It is still capable of running Kodi, Showbox, CartoonHD, etc. Thus, offering a lot of value for money as a inexpensive option to the world of android multimedia! Need Help with setup’ing up your android tv box or installing movie and tv apps on your mobile device? STOP PAYING FOR INFORMATION THAT IS FREE! READ THE TUTORIALS ON IPTV246! Amazon Fire TV is a great family-oriented option with lots of features. Because of the option to sideload and run Kodi flawless, Amazon Fire TV is the best android tv box of 2015. But there is more to AFTV. What is more comfortable than laying on your couch and, remote in hand, choose the TV show you want to see? The answer is: choosing it with your voice. This is exactly what Amazon Fire TV publicizes as its main selling point: a voice search feature. 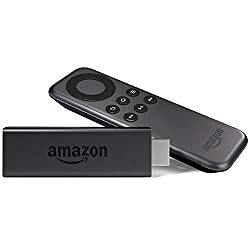 With a super-simple setup process and the ability to turn into a casual game console with the right peripheral (Amazon Fire Game Controller, sold separately), Amazon Fire TV is amazingly fast, going as far as having certain multitasking features, like playing music from an app while you are browsing the menus. This Android TV box has a mode called FreeTime, which lets you configure profiles for kids in the household, each with different content if you so decide; this is a nice and very useful family-oriented feature. New to Amazon Fire TV and Kodi? Check out: How to Setup Kodi Easily on Android Box, PC, Mac, or Mobile Phone. It covers everything you need to know on Amazon Fire TV Kodi setup. Matricom G-Box Q, complicated to set up, but worth it! With a Quad-Core CPU and an Octa-Core GPU, the Matricom G-Box Q Android TV Box is a good and powerful alternative. Its 5GHz Dual-Band WiFi proves very useful when streaming 4k video, which it does without dropping any frames or overheating. 2GB of RAM and 16GB of storage help it achieve this performance. 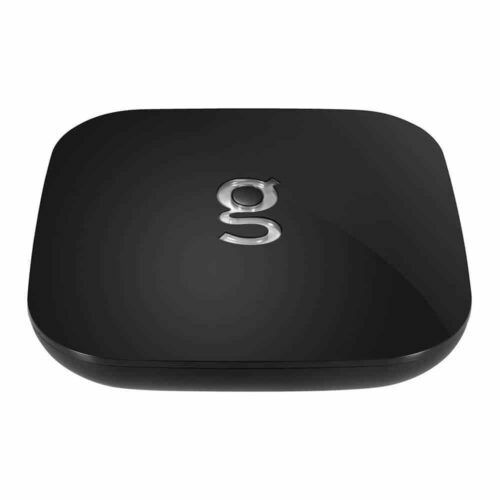 This small Android TV box device has a complicated setup process, though, so be prepared to spend a good few minutes getting it ready, however, once properly configured, it will amaze you with its streaming quality, and even the ability it has, given the right peripherals, to let you play some games on the big screen. Pre-rooted and with a custom GUI, MMXIII Amlogic s802 is a good option. 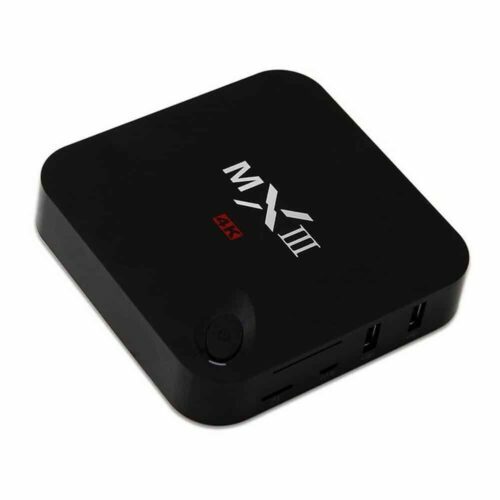 A physical power switch and light, Bluetooth support for peripherals and ability to stream video up to 4k from your preferred Video Player app are some of the things you will encounter with MXIII Amlogic S802 Android TV box. A custom-GUI, unique to the manufacturer, behaves in a quick and snappy way thanks to the Quad-Core processor under the hood of this small box. The device comes pre-rooted, and its weak remote controller is no obstacle to enjoy the great picture quality this media player has to offer. About this device, you could actually say that it has a performance on-par with any multi-core PC, with a solid WiFi connection and a friendly user interface. Android media players bring most of the Android experience to the TV screen, however, this has several limitations. For example, to take full advantage of Android in such a situation you need peripherals like a keyboard and a mouse, or gaming controller. Remote control support is not really developed, so it will be hard and cumbersome to browse around the menus and do things in Android with the remote controller, for some boxes more than others. So when buying a android tv device please buy a keyboard, mouse and gaming controller.